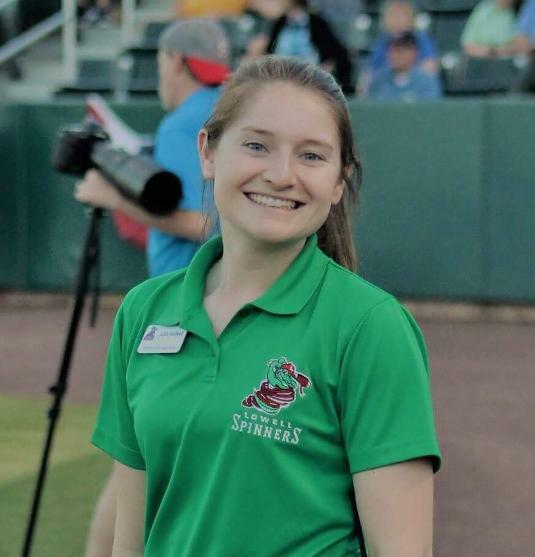 Julia is back for her fourth season with the Spinners and second as the Group Sales Manager. She is a graduate of Lyndon State College, located in Vermont, and earned her bachelor's degree in Sports Management, an associate's degree in Business Administration with a minor in Athletic-Coaching. During her college career she played Division III softball and was very involved within the Lyndon community. A native of Lowell, Julia spent the 2016 season as a Group Sales Account Executive after serving as a PR/Marketing intern in 2015. QUOTE: "The biggest risk in life is the one you don't take."